Bodum’s Travel Mugs are specially designed for coffee-drinking on the go, with their double-wall insulated construction that keeps beverages hot (or cold) for longer, and a spill-resistant lid that can stand up to even the bumpiest of bus rides!. Crafted from durable materials and rubber. 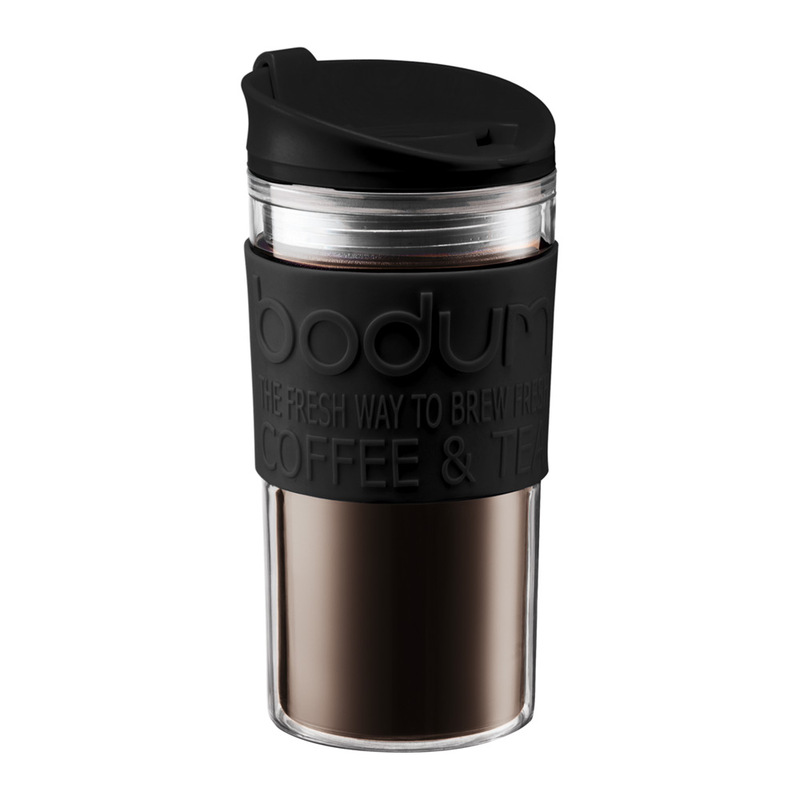 Insulated design keeps your drinks hot or cold for longer. Perfect for travel, home and office. Rubber grip protects hands from hot contents.